I searched for spit take in the gifs and when Godzilla came up I just KNEW I had to use him. 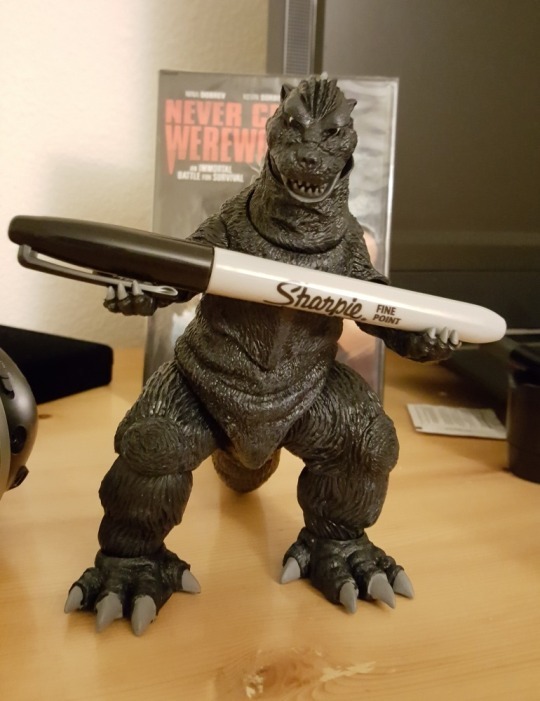 I was a huge Godzilla fan as a kid. 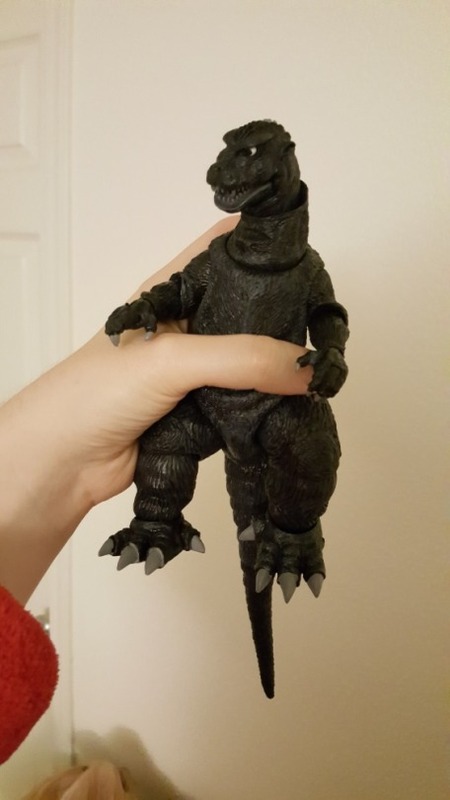 I even had a toy of him that was like 3 feet tall and was very stabby and pointy. 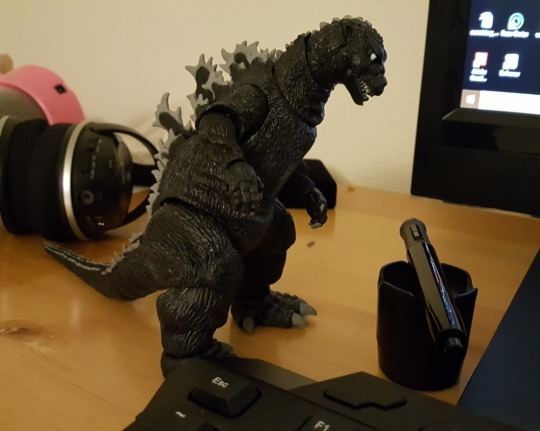 I wish I still had my stabby/pointy Godzilla but I got rid of him when I was a teenager. I love how pose-able yours is! And his little claw toes!! citystompers1: Godzilla humidifier COOLEST. THING. EVER.